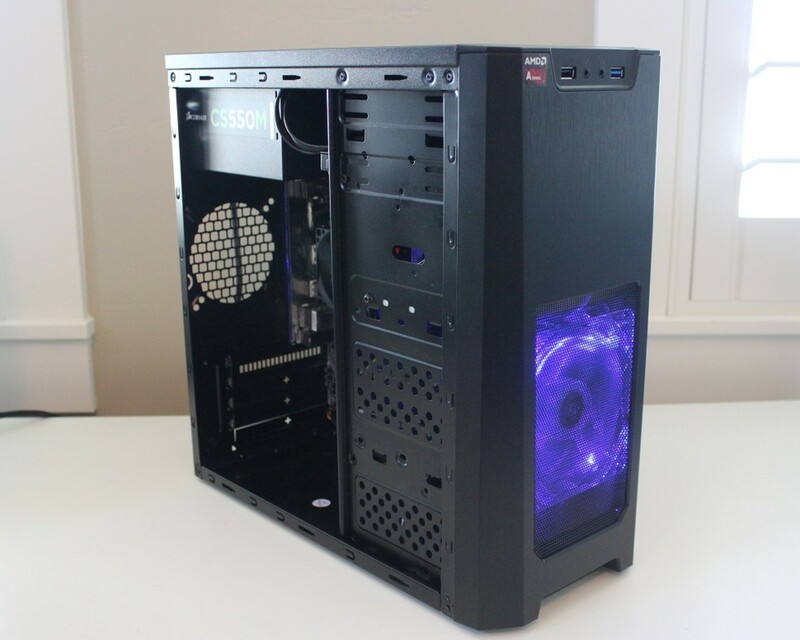 I have a strong interest in everything involving computers and technology. 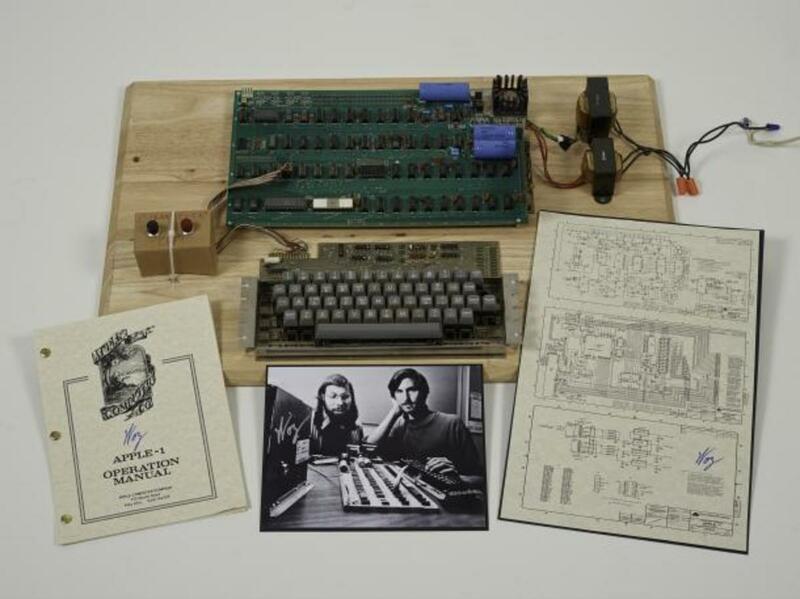 F3 Key: Insert an autotext entry. 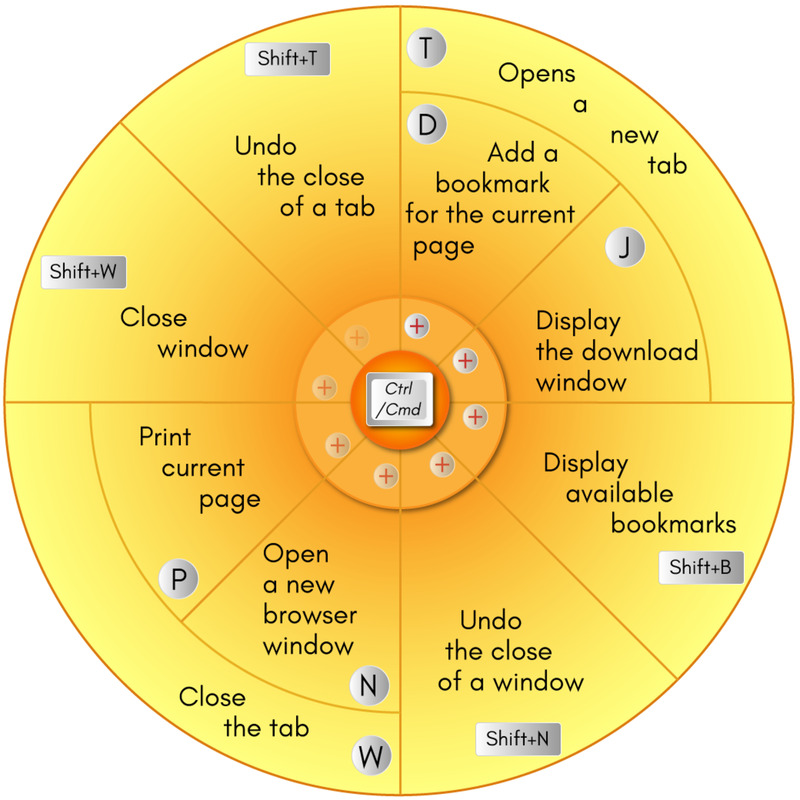 This image shows some shortcuts for basic functions while browsing in Firefox. The keystrokes begin with Ctrl if using a PC and Cmd if using a Mac. 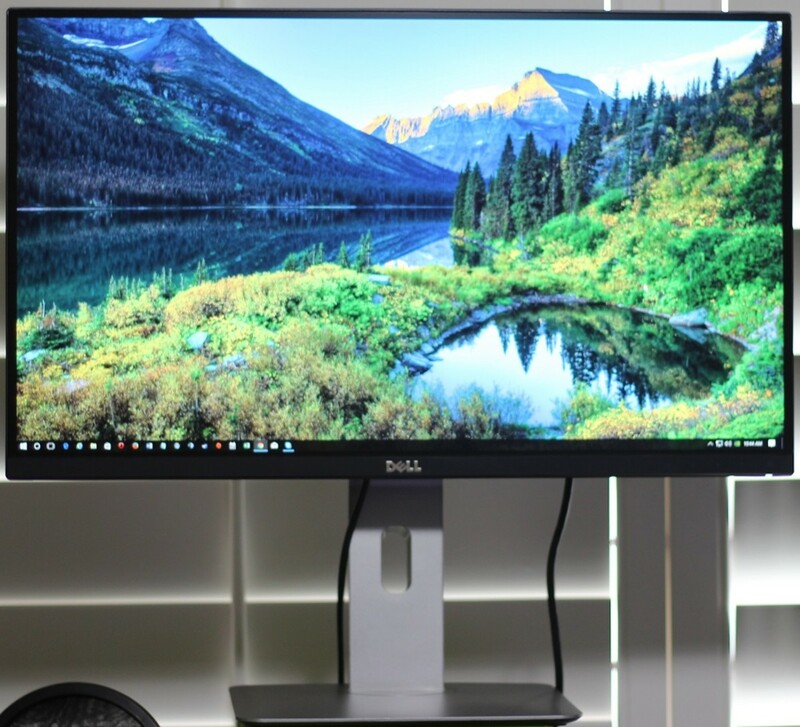 Toggle between full screen and regular screen. Undo the close of a tab. Moves through each of the open tabs. 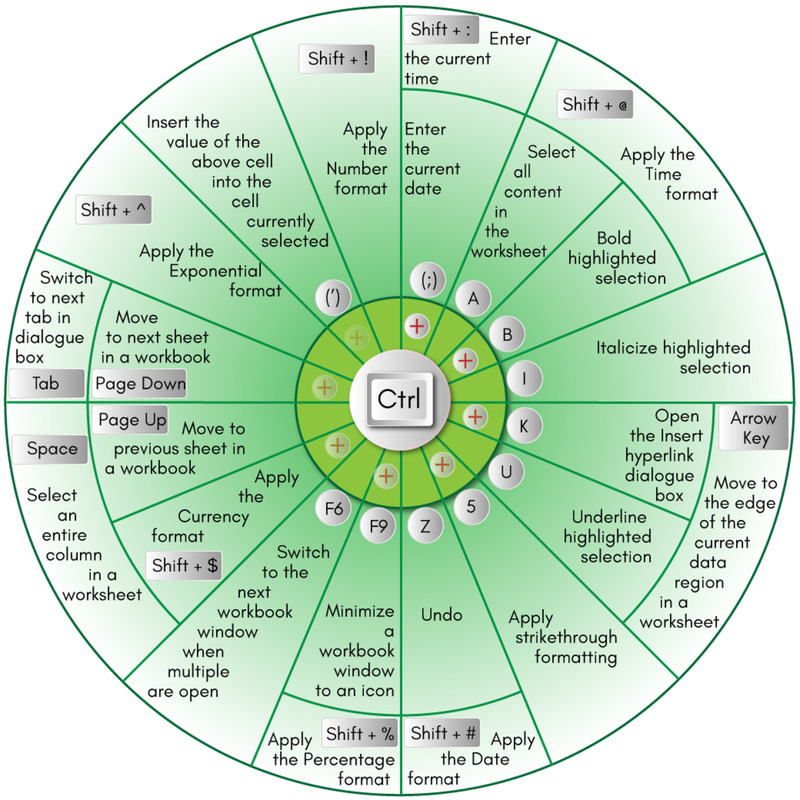 Here are a multitude of keyboard shortcuts for Microsoft Excel. Ctrl + Apostrophe ('): Insert the value of the above cell into the cell currently selected. 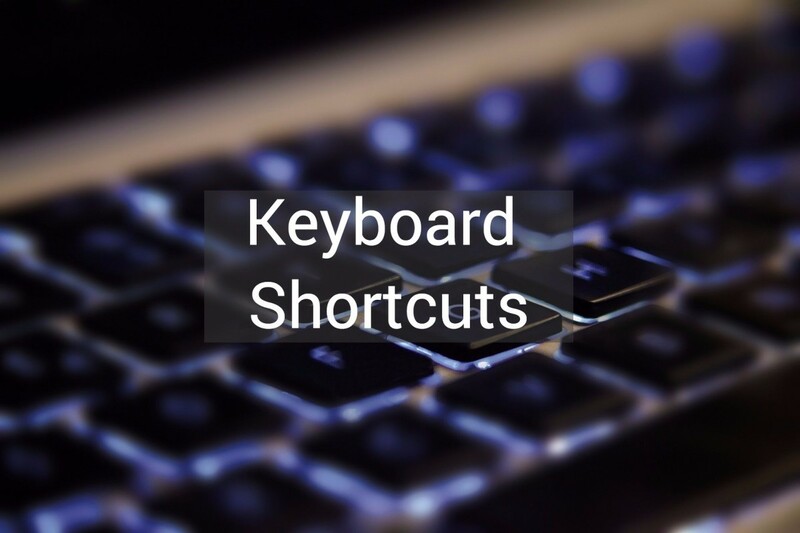 Here is a selection of shortcuts for those using a Mac. Fn + Right Arrow: Scroll to end of document. 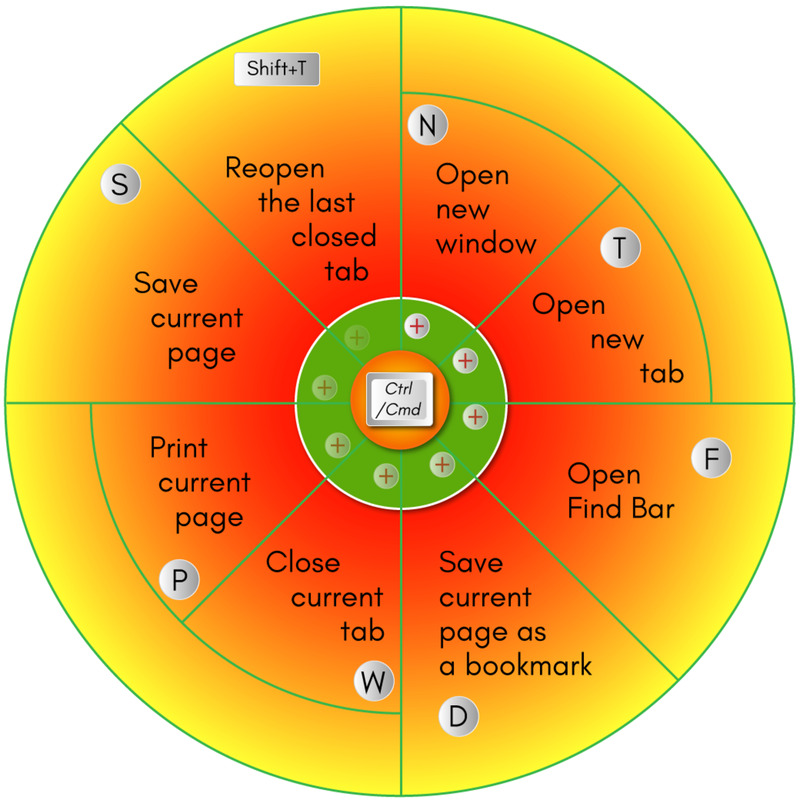 Here are shortcuts for browsing functions when using Google Chrome. 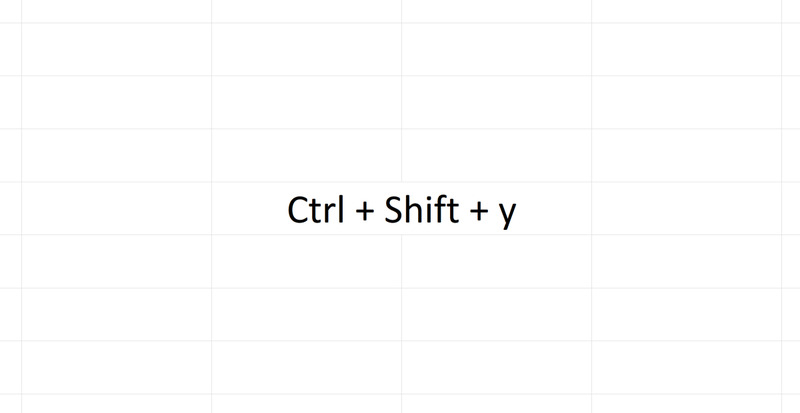 Keystrokes begin with Ctrl for PC users and Cmd for Mac users. Click in the Shortcut key box and press a letter. 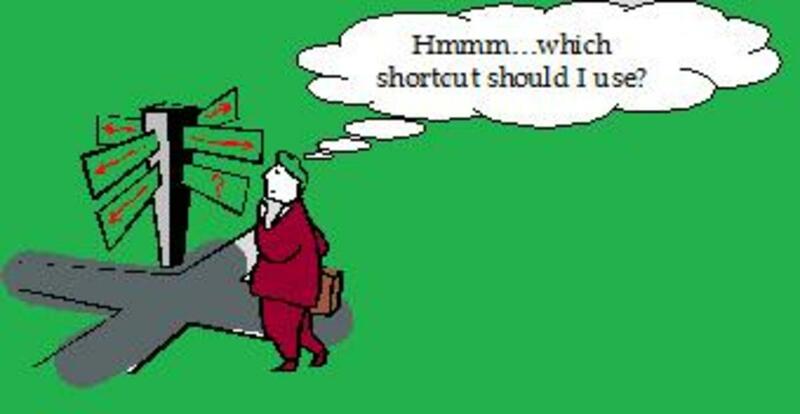 For example, if you press "p", the shortcut key will automatically be made to Ctrl + Alt + P. Which means that if saved, pressing Ctrl and Alt and P will run that shortcut. Thanks for the wonderful information.. 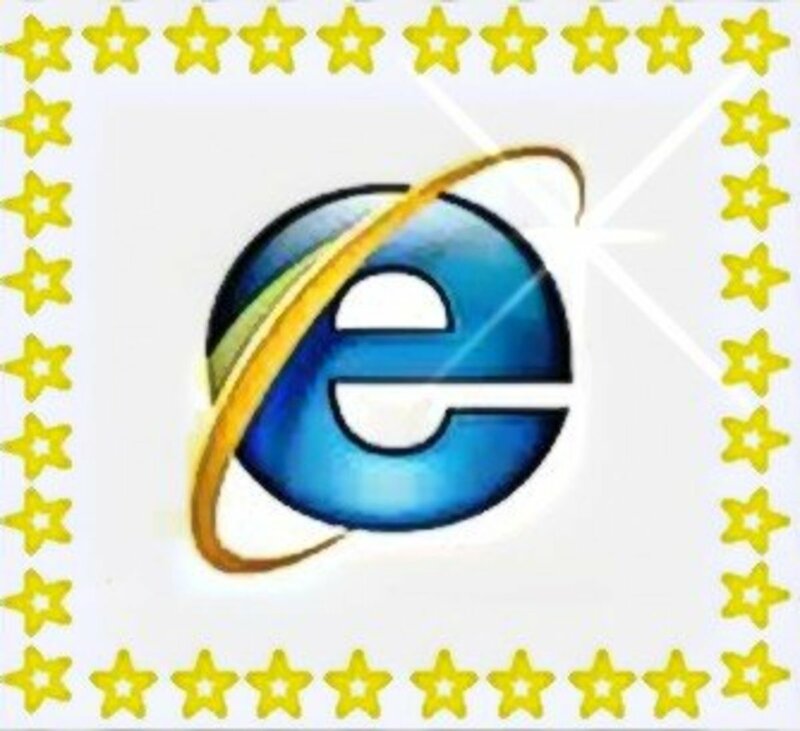 Thank, sir... very usefull in a circle web. 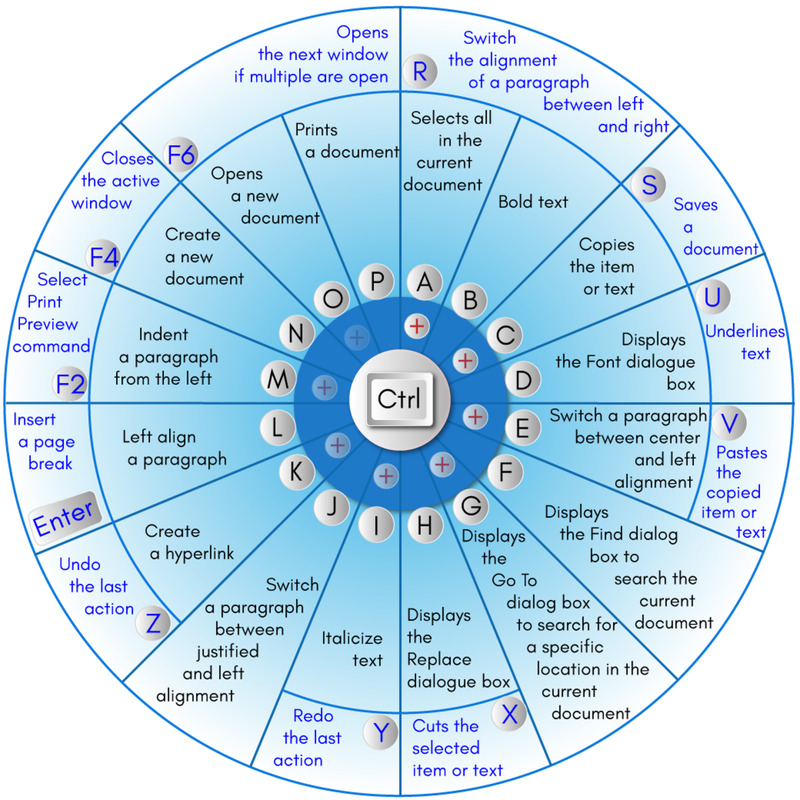 This is good stuff, specially like those circle picture, very userfriendly. 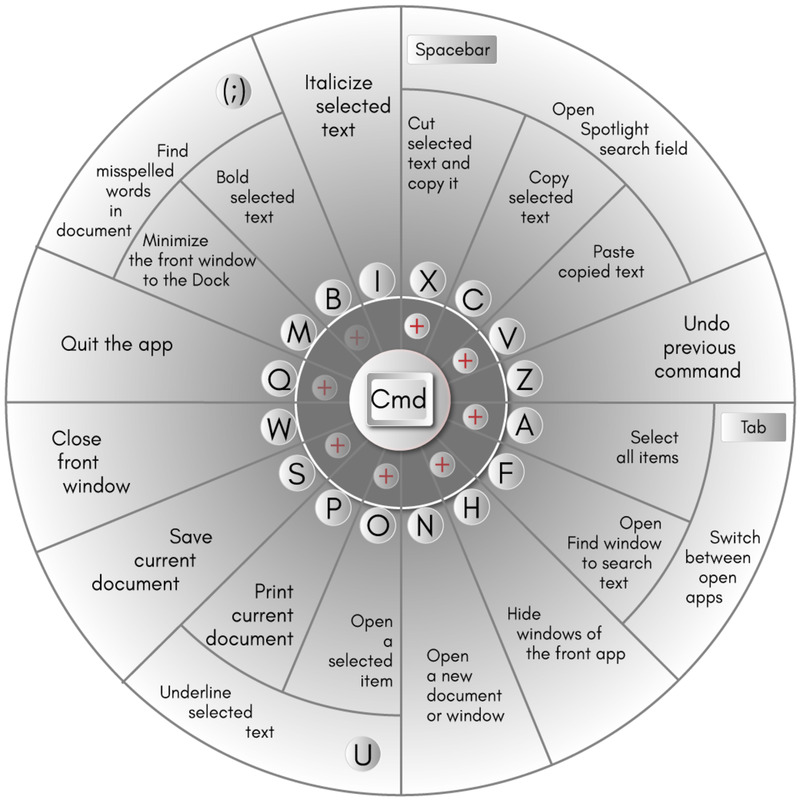 This is the best, most thorough list of shortcuts I've ever seen. Love the wheel's also, very helpful. And tho I'm not a MAC person, I do touch a clients MacBook on occasion, and the MAC shortcuts are very helpful. Hiya, I'm bored. I'm sitting alone and there's nobody else here. And it's nighttime by the way; everyone knows that's the best time of day. This is helpful and all but there's nothing more interesting to read than me.. Come down. this info very usful thanks. One of these commands doesn't work on a certain website thats been loading forever (since yesterday afternoon, but thats a long time), and I want to toggle full screen mode. I did command, control, and f, but it didn't work. All the others in that list worked. Thanks , Very Useful . Excellllenttttt and usefffffuuuuuul for students. Alt+f and A used for......?